Ah yes, the 90’s…Goosebumps on your bookshelf, TLC on your stereo, Windows 95 on your computer…those were the days! Wait…no, no they weren’t. What a strange, strange decade. Well, with all the 90’s nostalgia that’s been going around on the interwebs for months now, I’ve been remembering and getting reacquainted with something which was actually very nice about these 10 long years: bonkers, bizarre, obscure supercars. I’ve decided to honor these fine examples of glorious uniqueness and weirdness with a special series of 5 articles to be posted here at AV during the next few weeks. So, without further Apu (don’t judge me), let’s start with something German. Ingenieurbüro für Styling, Design und Racing or ISDERA is a small German manufacturer which started back in the early 80’s and which loves to raid Mercedes’ parts bins. 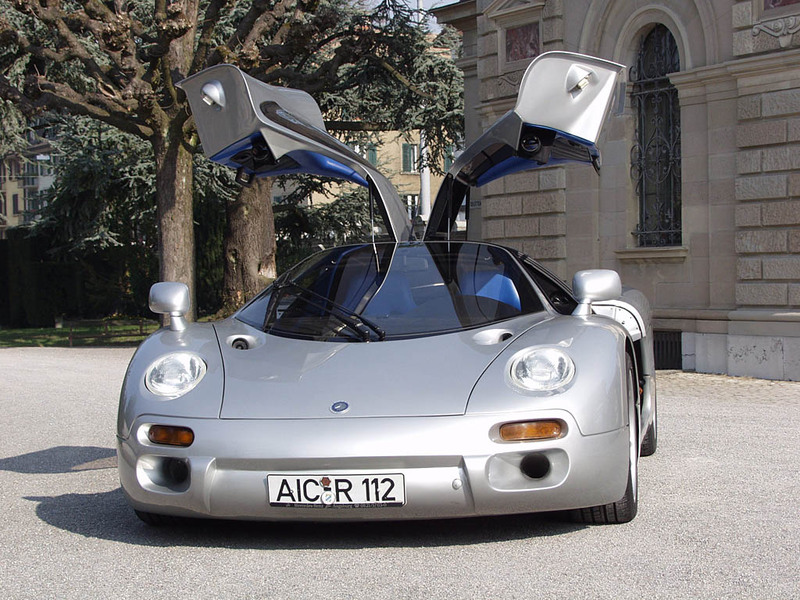 Created by former Porsche designer Eberhard Schulz, the Isdera brand is extremely secretive. As a result of this, most of their projects are kept under wraps and only one Isdera model can actually be called a production one. I’m referring of course to the cool gull winged box with a V8 in the middle and a periscope on top called Imperator. You can see and hear more of it here and trust me, it’s worth it! However, back in the day it wasn’t the Imperator which truly caught my attention by the collar and shook it; that was the Commendatore’s job. Looking like a Porsche from the year 2127, the Commendatore 112i was presented at the 1993 Frankfurt Auto Show and back then, it featured some truly advanced technology like an electronic system which would lower the whole car at high speeds and a very complex air brake, the very first of its kind. It also had the windshield wiper from a high speed train, because of reasons. Fitted with a big Mercedes 6.0L V12 coupled with a 6 speed manual gearbox, you’d think the Commendatore would pack a hell of a punch; however the numbers aren’t exactly exciting by today’s standards. 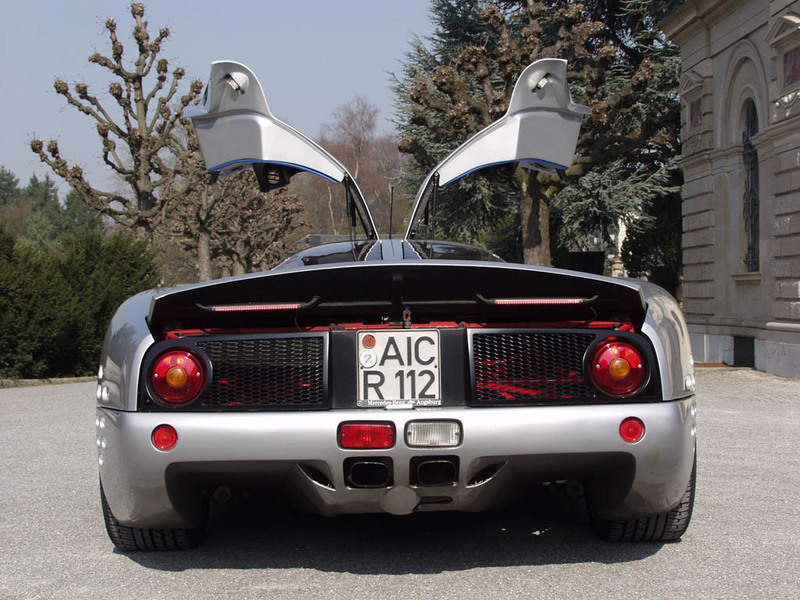 Despite de big mid mounted brute, the Isdera only had 402 bhp and that would be a problem, if it weren’t for the tubular space frame which makes it about as heavy as a Ferrari Enzo – not exactly feather weight territory by any means, but good enough to let the Commendatore sprint from 0 to 60 in about 4.7 seconds and keep going all the way to 212, giving it a higher top speed than the one of a SLR 722, 599 GTO, or MP4-12C and that’s impressive. 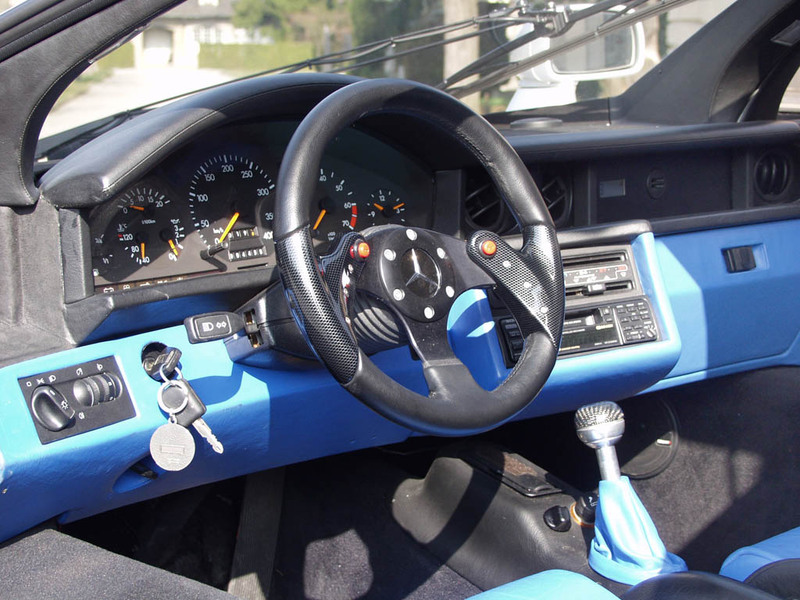 Sadly, the Commendatore never made it into production (despite there being rumors that, if you really wanted it and could afford it, Isdera would build you one) and the only known example, the original 1993 fully functioning road worthy/legal prototype, is somewhere out there, hidden from the world. 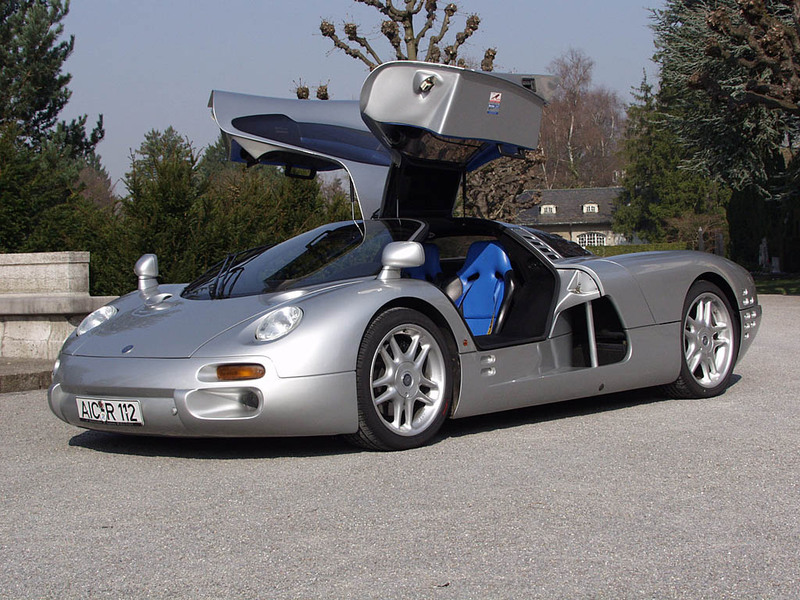 However in the late 90’s Isdera (now in the hands of some Swiss investors) decided to take another stab at it; the Commendatore ditched the periscope style rearview mirror (bummer), lost the fancy gold BBS style rims and upgraded its engine to a newer, more powerful Mercedes V12. The Silver Arrow C112i was born. Now with 611bhp and a top speed of 230 (which puts it right in Huayra territory 15 years before the Pagani came along), the Silver Arrow was ready to level its competitors…but it didn’t. Again, Isdera came up with what was (for all intents and purposes) a one-off. In 2005 the car appeared for sale on Ebay for 3 million US dollars but it didn’t find a buyer. Its fate after that is anyone’s guess. It really is a shame that Isdera no longer has its 90’s “let’s go all out and make this sucker amazing” mentality. The last thing we got from the German company was the very strange AK116i; an extremely flawed homage to the perfection that is the Autobahnkurier and which ended up looking like half a VW Beetle with some kind of Pinocchio syndrome at the front and a fish fin in the back. 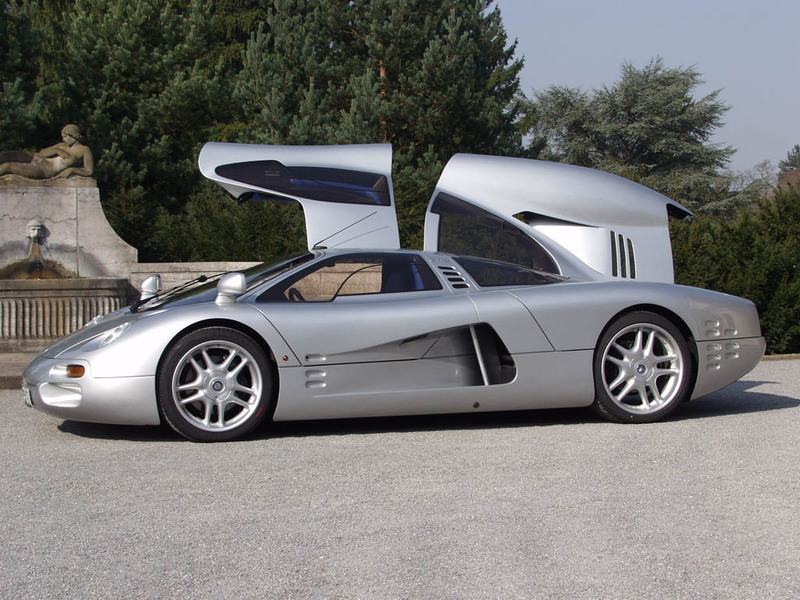 Despite Isdera’s design faux pas with the AK116i, the Commendatore and Silver Arrow will always stand as extremely beautiful, extremely advanced automobiles which, in 25 or 50 years will still be as impressive (or more) as they were back when they first saw the light of day and that is the mark of a truly special car. 400GT most powerful French road car eh? Try some of the Bugatti models. Journalist my arse.